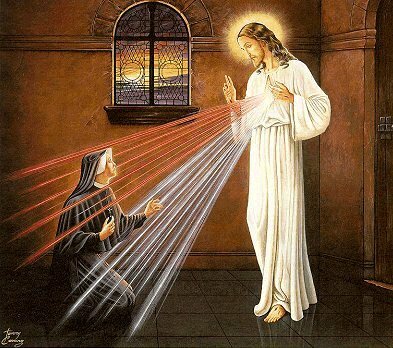 In an extraordinary way, Sr. Maria Faustina’s work sheds light on the mystery of the Divine Mercy. It delights not only the simple and uneducated people, but also scholars who look upon it as an additional source of theological research. The Diary has been translated into more than 20 languages, including, English, German, Italian, Spanish, French, Portuguese, Arabic, Russian, Hungarian, Czech, Slovak, Polish, Castilian, Brazilian, Vietnamese, Korean, Chinese, Swedish, Ukrainian, Dutch and Japanese. 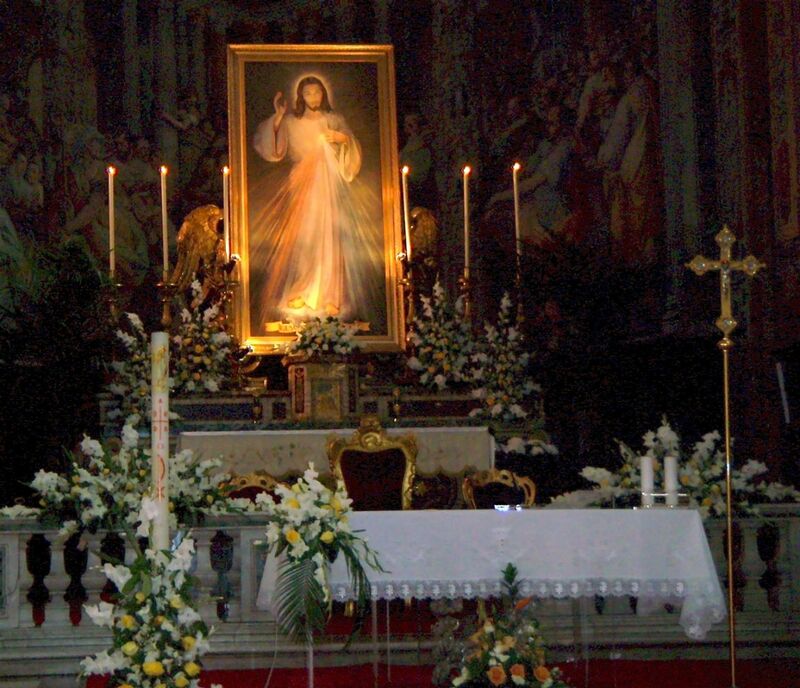 Our local Diocese offers a Retreat focused on The Divine Mercy of Jesus. Hosted four times a year, it is a wonderful opportunity to Encounter Christ through His Divine Mercy! The mission of St. Faustina was recorded in her Diary which she kept at the specific request of the Lord Jesus and her confessors. In it, she recorded faithfully all of the Lord Jesus’ wishes and also described the encounters between her soul and Him. Entreating God’s mercy for the whole world and particularly for sinners, among others through the practice of new forms of devotion to the Divine Mercy presented by the Lord Jesus, such as: the veneration of the image of the Divine Mercy with the inscription: “Jesus, I Trust in You,” the feast of the Divine Mercy celebrated on the first Sunday after Easter, chaplet to the Divine Mercy and prayer at the Hour of Mercy (3 pm). The Lord Jesus attached great promises to the above forms of devotion, provided one entrusted one’s life to God and practiced active love of one’s neighbor. 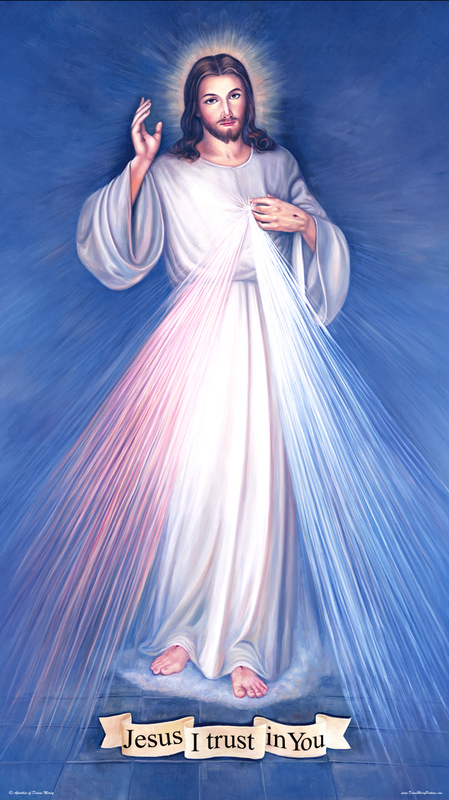 The third task in Sr. Mary Faustina’s mission consists in initiating the apostolic movement of the Divine Mercy which undertakes the task of proclaiming and entreating God’s mercy for the world and strives for Christian perfection, following the precepts laid down by the Blessed Sr. Mary Faustina. The precepts in question require the faithful to display an attitude of child-like trust in God which expresses itself in fulfilling His will, as well as in the attitude of mercy toward one’s neighbors. Today, this movement within the Church involves millions of people throughout the world; it comprises religious congregations, lay institutes, religious, brotherhoods, associations, various communities of apostles of the Divine Mercy, as well as individual people who take up the tasks which the Lord Jesus communicated to them through Sr. Mary Faustina. Our entire family has been blessed, not only to have experienced a Divine Mercy Retreat (DME); but to now volunteer at “working” the Retreat in varioius roles! This is one of our favorite ways to Serve the Church by introducing others to the powerful gift of God’s Mercy! The Retreat is open to all faith denominations and we have had people from all parts of the country travel to our hometown for this experience. It is humbling to watch lives transformed or faith strengthened and I’m giddy with excitement as I prepare to volunteer at the next upcoming Retreat!! There are so many people desiring to either explore, form, or deepen their relationship with Christ and it is indescribable to watch them take an active leap to Trust In Him! The DME (Divine Mercy Encounter) Retreat continues to be an active part of our family and we look forward to the next generation of our family one day sharing in this same experience!! Grammie (Oma) and Gompee (Opa) will again be giddy with excitement!! Previous the monday office blues! Next Pass the road map, please!